Well folks, it looks like Home Automation is finally getting some prime time coverage! Today on the Oprah Winfrey Show, Nate Berkus will be showing off high-tech homes! The featured home uses technology by Control 4 (not my first choice in home automation technology -- but oh well). They show how a "handheld screen or remote control" allows a user to "direct everything in the house with just the touch of a finger. It controls the lights, temperature, music, television and security." Definitely a step in the right direction -- too bad I wasn't invited on the show to talk about practical home automation! It's about time home automation starts making itself known to the general population and the Oprah Show is the best vehicle to do so. I hope they also talk about how home automation can be used to save energy. In a few hours (PT) Jimmy Kimmel will be airing his 1,000th episode on ABC and as I was reading about it on CNN, I noticed Kimmel has a Russound UNO-S2 keypad on the wall, next to his bed. Not sure if this is blog worthy, but it's not everyday you see a Russound UNO-S2 keypad on TV. And yes, that's Richard Simmons. We just added the "HD" channel with 1280x720 resolution, 1.5-2mbps episodes to the ABC Full Episode Player. It supports PC (Vista too!) and the Mac, we are pushing the limits here, so please submit your comments on the Official ABC Developer's Blog. It's truly amazing... now go check it out -- The ABC Full Episode Player. ABC Full Episode Player Is Back! The news is now hitting the wires, so I thought I'd post the press release here as well. We've been working long and hard on the new version of the ABC Full Epsidode Streaming Player as it's looking sharp -- even better than before! That's all I can say for now so here is the latest PR from Reuters which explains what else we have up our sleeves. LOS ANGELES, Sept 13 (Reuters) - The Walt Disney Co. on Wednesday said it reached an agreement with ABC television affiliates to include local advertising in the network's online offering of seven prime-time TV series, including "Desperate Housewives" and "Lost." Disney plans to reintroduce its free, ad-supported broadband video player software at ABC.com later this month after a two-month test this summer showed that viewers could recall the interactive ads at far higher rates than on TV airings. 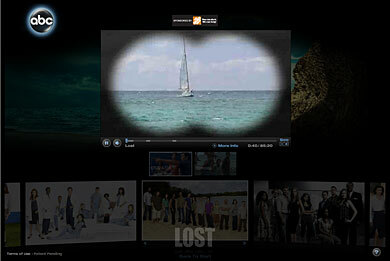 The broadband player delivered 5.7 million episodes during the test, which featured episodes of "Housewives," "Lost" and the now-defunct "Alias" and "Commander-in-Chief." 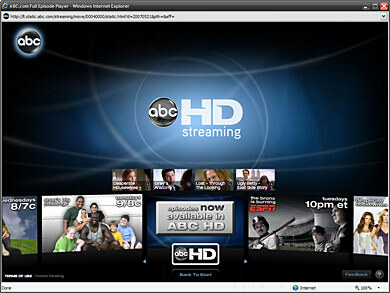 ABC affiliates had expressed concern that the Web program would cut into viewership and appeared to offer no local advertising participation. 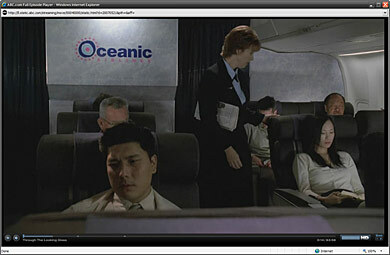 The player lets viewers pause and move backward and forward within an episode, but does not allow them to skip or fast forward through the commercials. 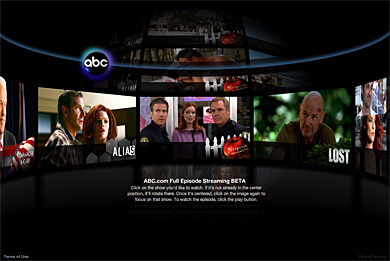 On Wednesday, ABC said it had agreed to allow local affiliates to sell one ad per episode, in what it believes is the first time local ads have been inserted in a nationally operated broadband player. Local stations can feature the broadband player on their Web sites, and will keep all revenue from ads they sell for the player, Disney said. Affiliates have agreed to promote the player software online and on air, and the ABC Affiliate Board has endorsed the program, said Ray Cole, chairman of the ABC Affiliate Relations Board of Governors. "We think this initiative holds promise and potential opportunity for the ABC affiliates in their respective markets," Cole said in a statement. Episodes now will contain up to four interactive ads rather then the test's three spots. Up to three of the ads will feature a single national advertiser, and one ad will be local. 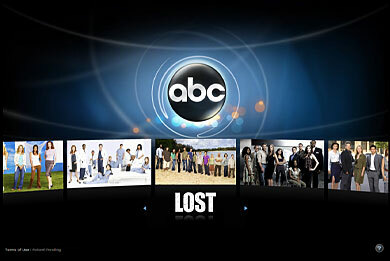 The network will post online episodes of the returning series "Housewives," "Lost" and "Grey's Anatomy," and new shows "Six Degrees," "Ugly Betty," "The Nine" and "The Knights of Prosperity" at ABC.com after they air, starting on Sept. 23. ABC also had to cut a deal with Warner Bros. Television, which produces "The Nine." The show will be available for four weeks on ABC's broadband player. 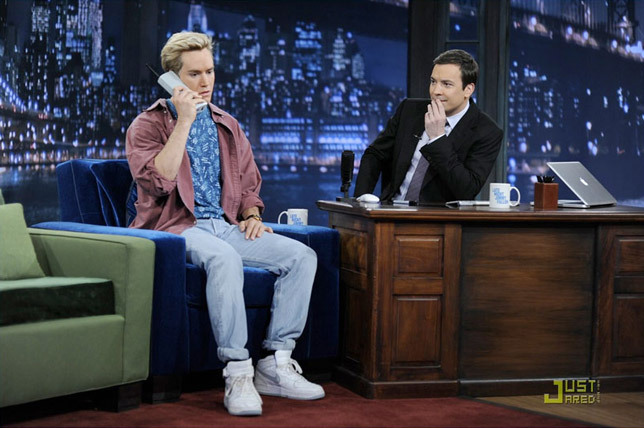 Warner Bros. will offer the show for sale, commercial free, on various digital download platforms. ABC.com plans to make four episodes per series available at at a time.